I decided to actually begin the arduous task of cleaning out my makeup drawers (yes, drawers, plural. Like large dresser drawers intended for clothing). It's amazing to find things I had completely forgotten, some good and some bad. I honestly don't know why I keep half of it so its about time I begin the makeup purge. But you dolls know me, I take out an item and replace it with 5 more... Like the goodies from the November Vegan Cuts Beauty Box. 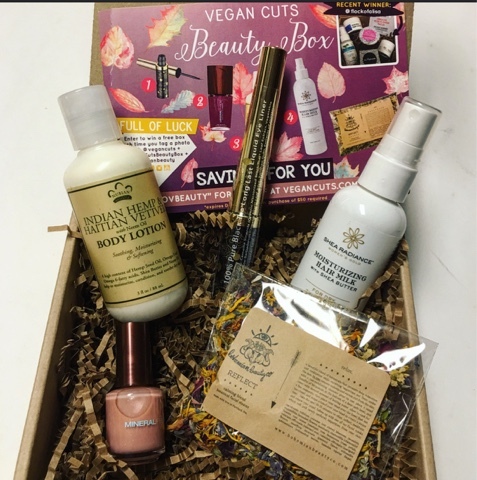 Vegan Cuts, who very kindly sent me this box for review, has several different Subscription boxes but this particular one is the Beauty Box. The cost is $19.99 per month and it's a great tool to discover new cruelty free products. 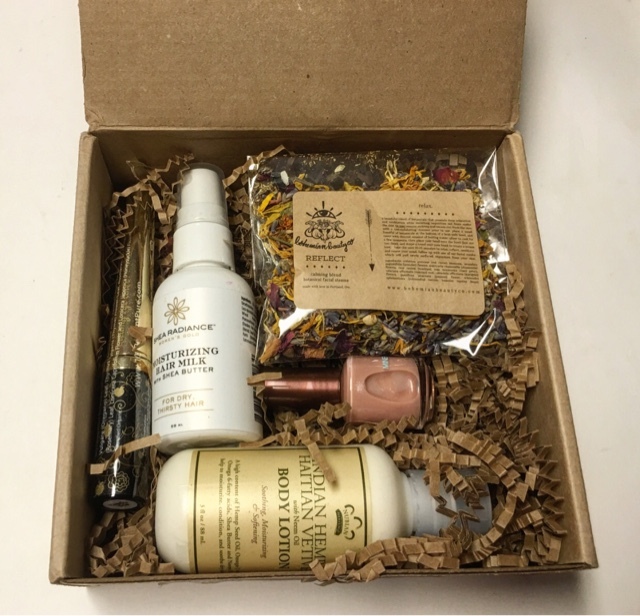 Each month you'll receive a delivery of 4-7 new products to try, ranging from unique cosmetics to luxurious skincare. Ohhhh.... I love it already! Nothing beats a great presentation and quality products. 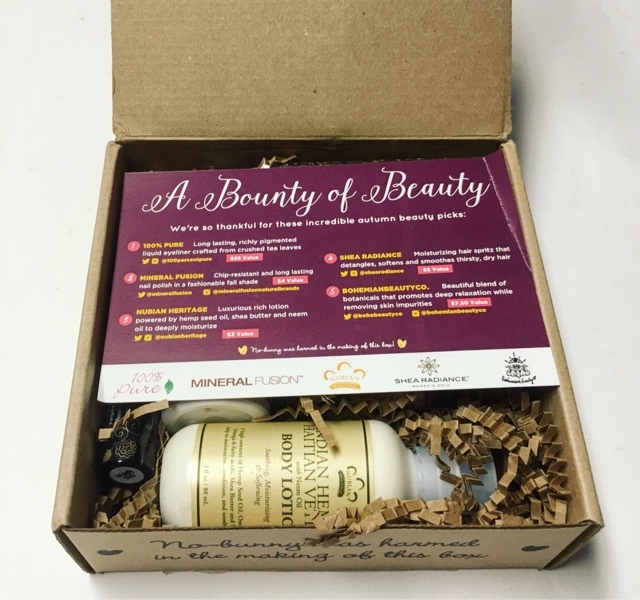 Each box comes with a detailed information card that tells you all about the products you received. 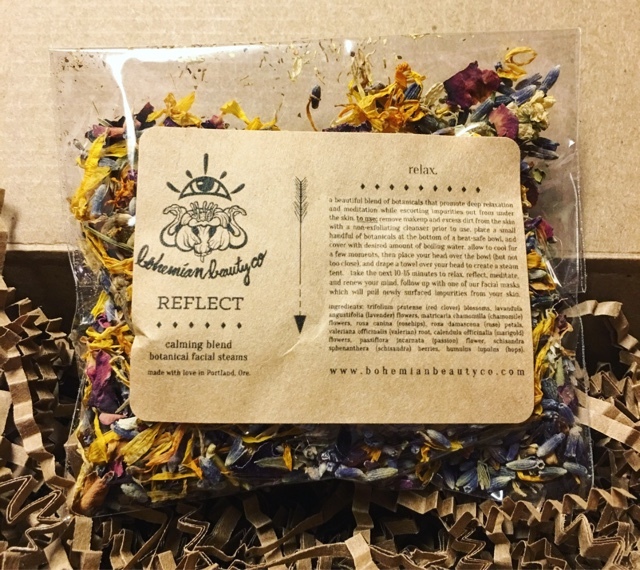 Bohemian Beauty Co. Facial Steam - $7.50 --- swear anytime I see these I think it's tea. In actuality it is one of my favorite beauty products of late, a facial steam. The gorgeous blend of botanicals promote deep relaxation while removing skin impurities. Nubian Heritage Lotion - $3.00 --- I'm a big fan of this brand and have encountered it often thanks to subscription boxes. 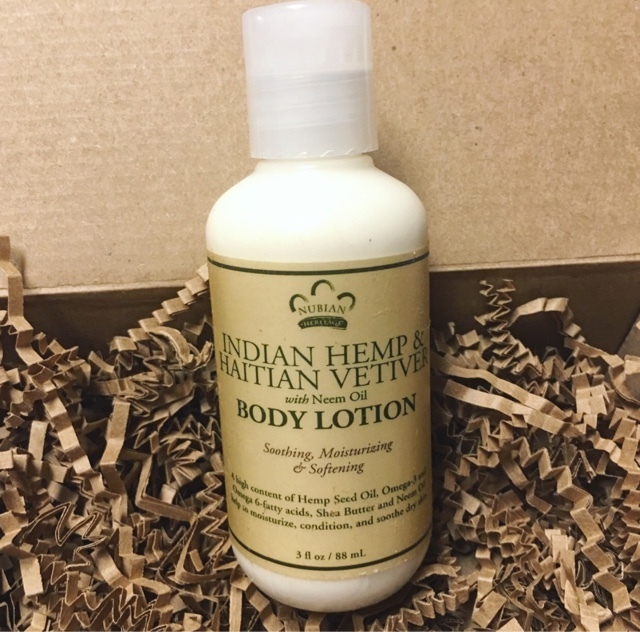 This lotion is extremely rich and powered by Shea butter, hemp seed oil, and neem oil for deep moisturizing power. 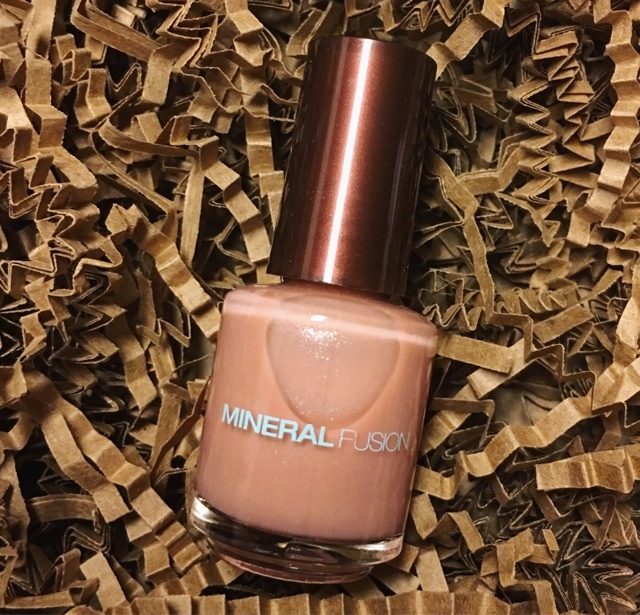 Mineral Fusion Nail Polish - $4.00 --- I absolutely adore this shade! Dries quickly, is chip resistant and very long lasting! 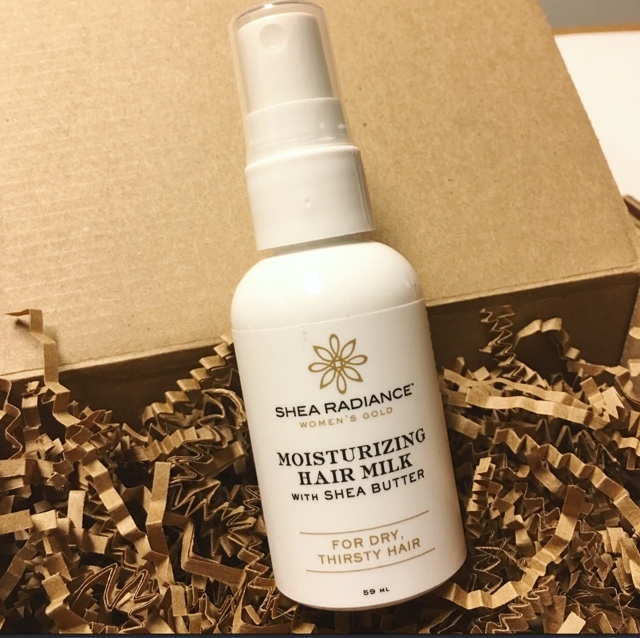 Shea Radiance Hair Milk - $5.00 ---Thank you lord! I'm a licensed cosmetologist so I'm extremely picky about my hair products but I LOVE this! This moisturizing spritz detangles, softens and smoothes thirsty, dry hair. 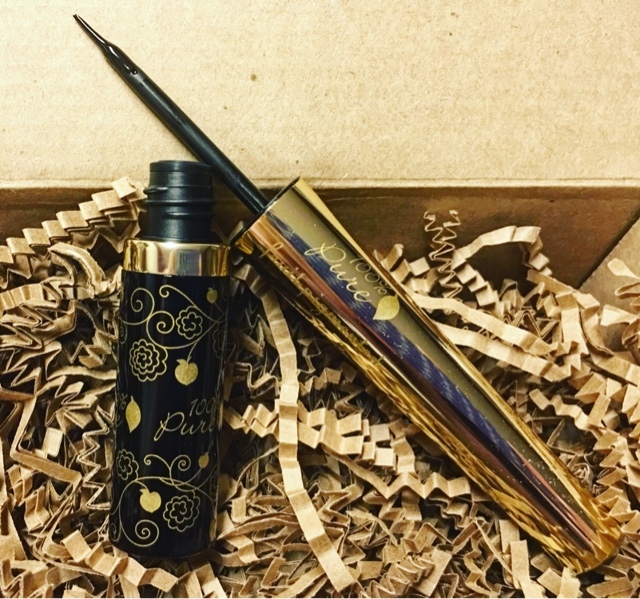 100% Pure Liquid Eyeliner - $25.00 --- Another brand I'm already familiar with and love! Generally I don't use liquid liners because my hands shake constantly but the wand on this made for great control. Best of all its long lasting and gets its rich pigment from crushed tea leaves! I'm in love with every single one of these products. 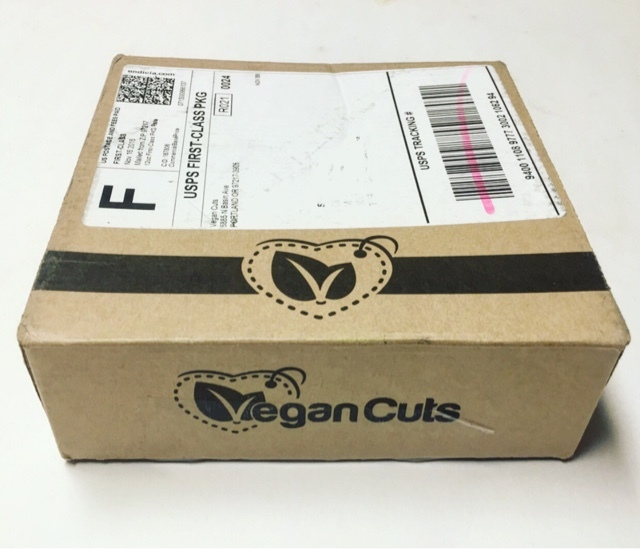 I went into this not knowing what to expect since this is my first Vegan Cuts box... Needless to say, they have definitely impressed me! 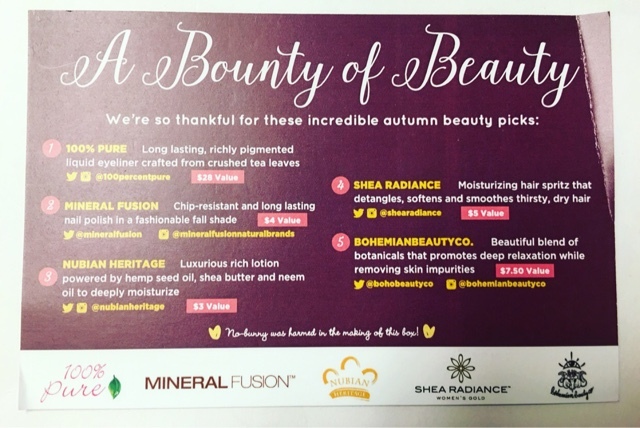 Great variety, great quality and the best Vegan beauty brands all wrapped up in one box! Thoughts on Vegan Cuts? Share with us! !